No matter where you live, an insurance broker can make sure your farm is insured for what it is worth. No matter what industry you work in, a professional insurance broker will help you get the right insurance for your job. If you provide advice or services in your work, it’s important to protect your business against claims of malpractice or professional misconduct. Riviera Insurance offer industry-specific professional indemnity insurance tailored to your business. You love your boat, make sure it's protected. Whether it’s smooth sailing or rough seas, make sure your boat is protected with one of Riviera Insurance’s boat insurance options. No matter your experience or qualifications mistakes can happen. Professional indemnity insurance can protect you and your business. Click here to learn more. Riviera Insurance Services offers insurance products to cover a range of industries. If you’re in business, you need to be insured. From hobby farms to large working properties, Riviera Insurance Services can tailor a package to suit you. 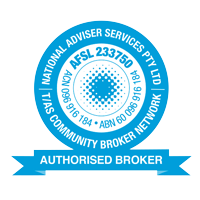 Click here to find out more or call Bob on 0408 274 532.